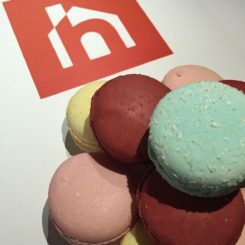 Best Of Happy 10th Birthday to Homedit! 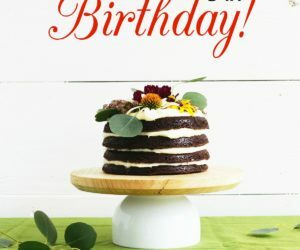 Happy Birthday to Homedit! 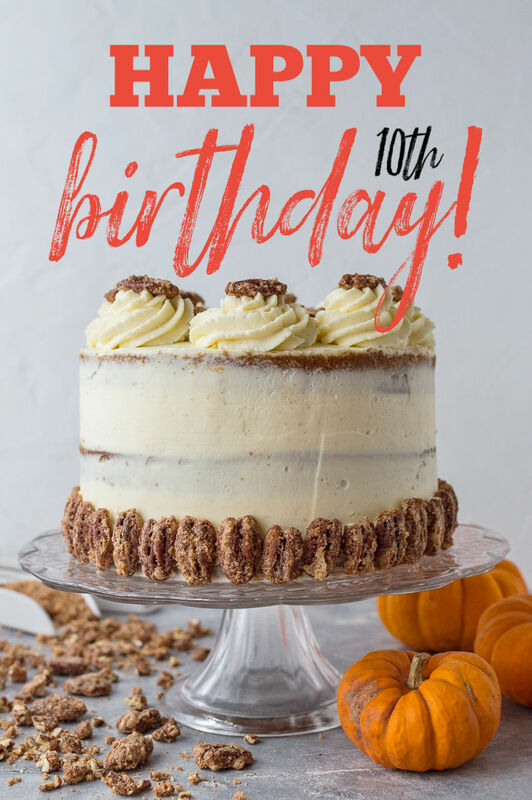 It’s a very special anniversary this year because it marks an entire decade that we have been bringing ideas to our millions of readers to help them discover, create and learn. As always, it was a busy year of creating DIY videos and tutorials, presenting project ideas, scouting out the latest trends and innovations, as well as offering up glimpses into amazing properties around the world. You’ve helped make some of our posts amazingly popular and that’s what drives and motivates us to bring you even more. Traditionally, the 10-year anniversary is marked with tin. While that might sound a little dull, it is full of meaning and really fits Homedit: The flexibility of this metal represents the versatility and durability you need to be successful for a decade — bending without breaking. Indeed we have changed over the years, adapting to what you, the reader, want and following the trends and innovations that the industry has presented. 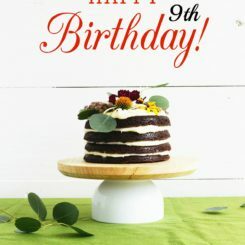 This 10th anniversary is a testament to Homedit’s durability and we look forward to yet another decade of bringing you the design and decor stories you love. For now, we’ll focus on celebrating and taking a look back. New ideas and inspiration for your life and home are what it’s all about. 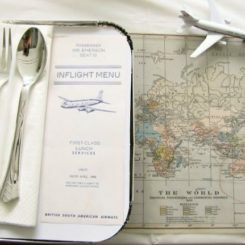 We travel the world for you, scouting out the latest trends and newest decorating ideas wherever we can find them. Of course, we cover all the major design fairs, but we also poke around specialty fairs and some out-of-the-way places for you to find the most interesting and novel designs. We aim to help you discover things that will inspire you in all ways, from small decor items to major pieces of furniture and everything in between. 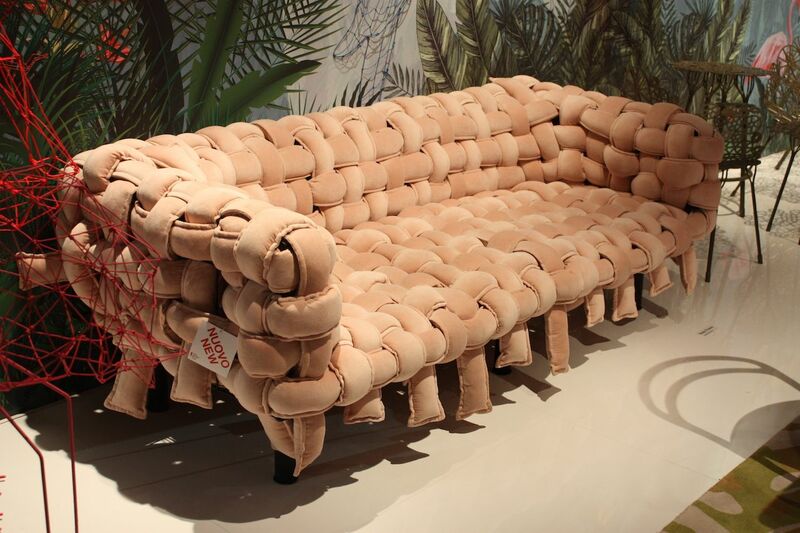 Louis Vuitton’s leather sofa from the Nomad collection. 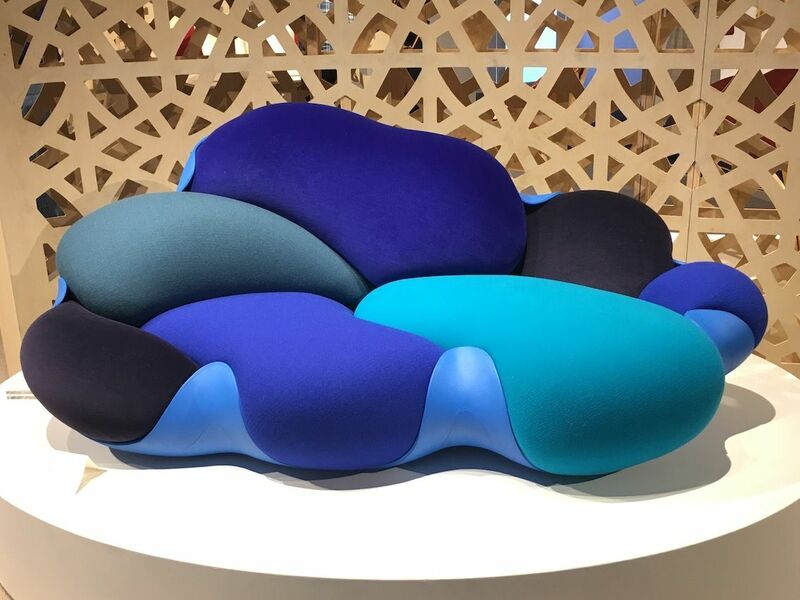 Louis Vuitton’s leather sofa from the Nomad collection.Alongside the world-renowned Art Basel Miami is a design event we look forward to every year: Design Miami. This design show has a decidedly contemporary and modern vibe, and is chock-full of luxe inspiration from the top designers from around the globe. From the interactive pieces to works from emerging designers and the latest creations from perennial favorites, we brought them all to you. Design Miami is a cool mix of incredible artful pieces, just across the street from Art Basel, which is a hotbed of art ideas for enlivening a space with something really special. 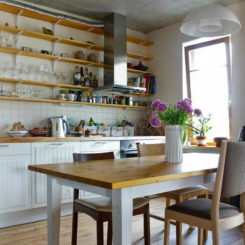 Biefbi’s kitchen is stylish as well as family friendly. 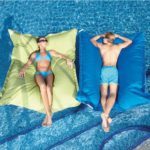 Canada is the source of some amazing design and one of the best places to see new things from makers large and small is IDS Toronto. Because it’s the only general design event in January, it’s a perfect venue for scoping out the furnishings, finishes and hardware that are trending for the coming year. We love it for not only the new products from major vendors but also the extensive and very creative collection of work from up-and-coming designers and small makers. In addition, special installations from Ontario Wood and a selected design studio are always stunning. 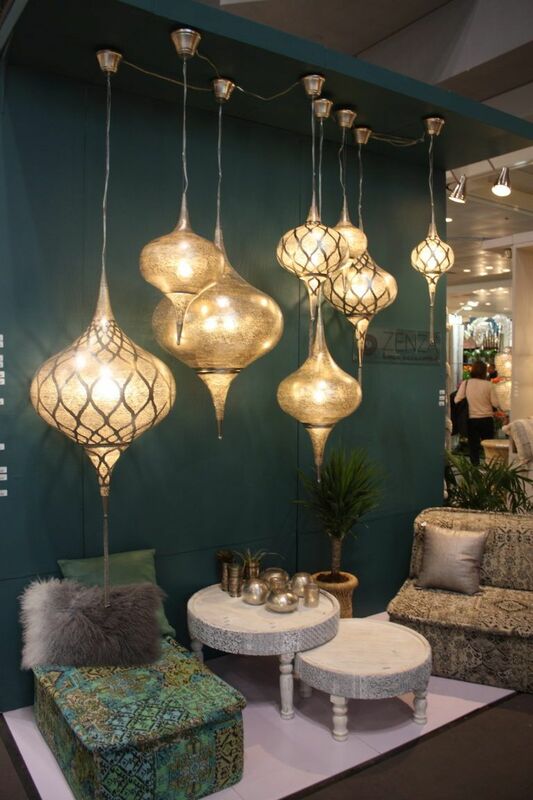 Zetta’s pendants are exotic and create a relaxed mood. 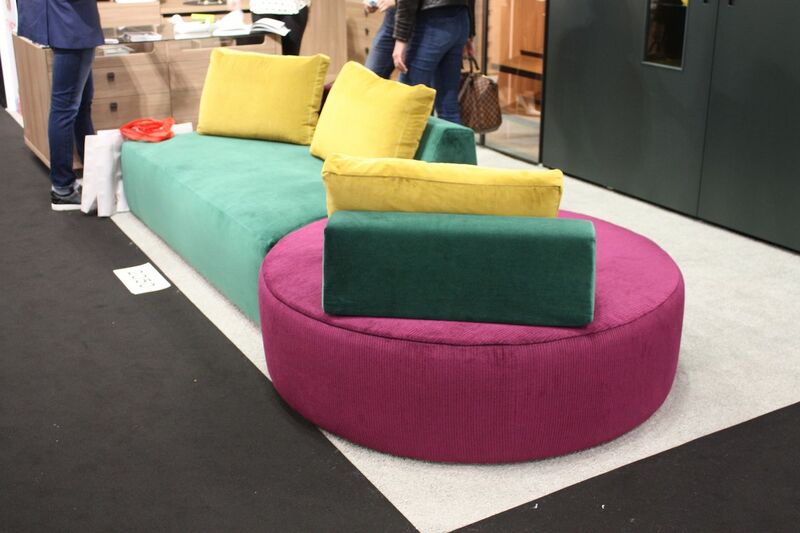 A wealth of new products are presented twice a year at NYNOW, which hosts 2,300 exhibitors. In fact, 67% of the exhibitors at this show come in order to launch new products. The design-driven pieces we find there every year are in-trend and the source of endless inspiration for decorating and interior design ideas for your home. Homedit works very hard to show you the latest and greatest in all the furniture and design categories. In 2018, we focused on a lot of decor items that can be used to quickly freshen up a space, as well as cool furniture and lighting fixtures. Design fairs present cutting-edge designs like these. Always a highlight on the design show calendar (and our calendar!) is the annual Architectural Digest Design Show in New York City. Presented by the namesake magazine, it’s a true design extravaganza that presents nearly everything you can think of for the home: From new kitchen technology, high-quality furnishings and cool new rugs to countless types of decor items and art. 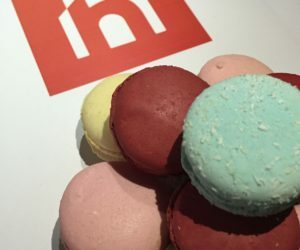 This show always delights, with its new products and innovative designs. We also love the concurrent Dining by Design sponsored by Design Industries Foundation Fighting AIDS (DIFFA) where selected designers create dining environments that range from dreamy to politically bold in support of DIFFA. 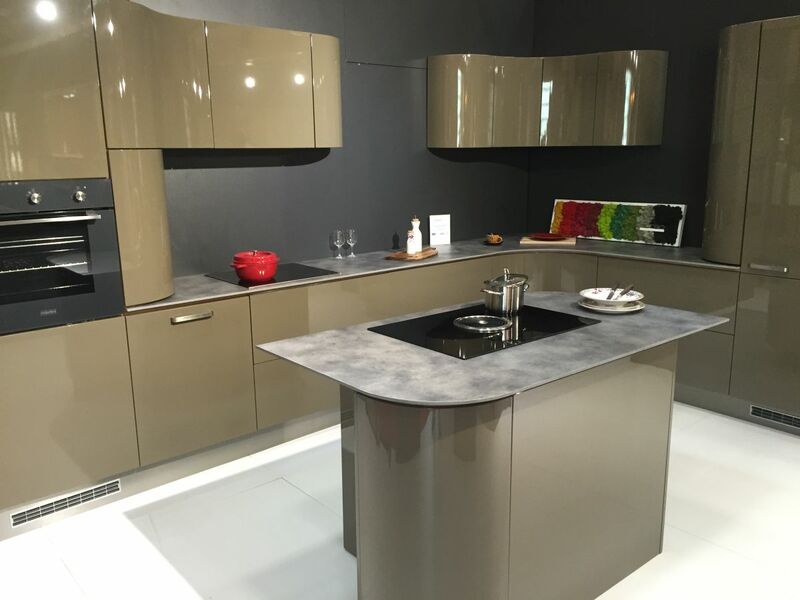 Eurocucina is the premier place to find the latest in kitchen design. Another “must go ” for the design world is Salone del Mobile. Industry members from all over the globe converge on Milan to see the top designs. 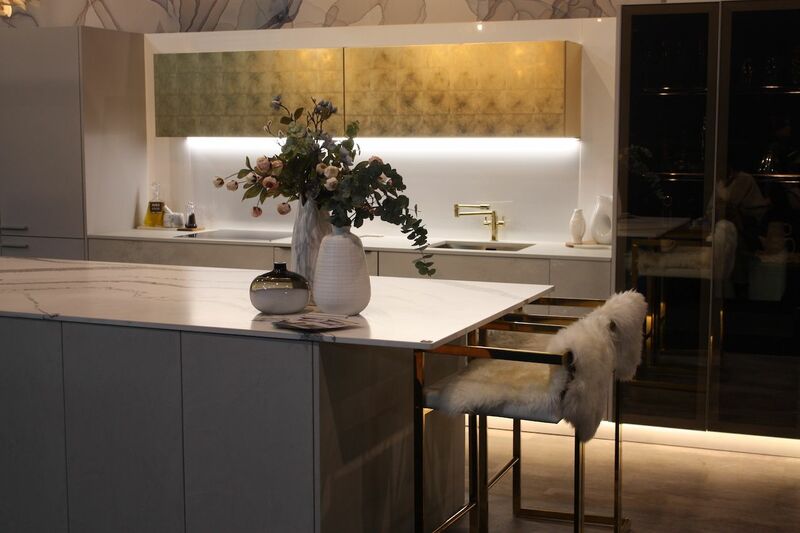 This year, kitchen design was highlighted in EuroCucina, the special focus area, along with all the amazing technology designers are incorporating. 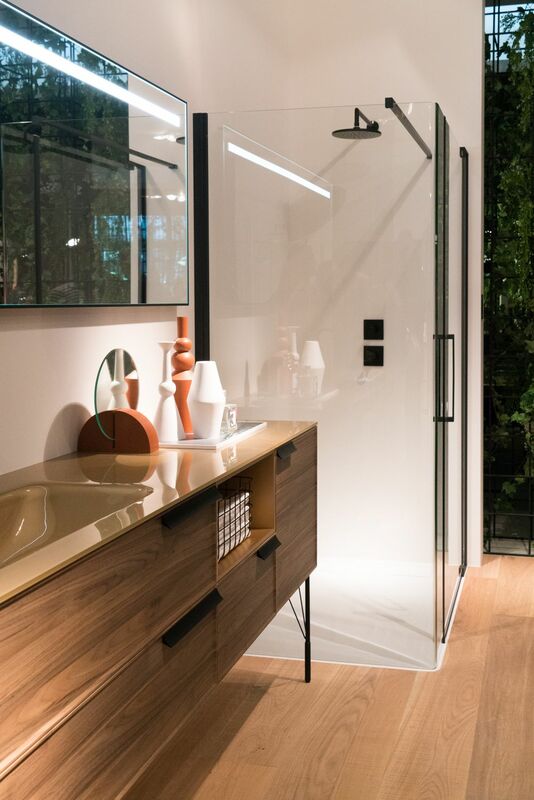 Other parts of the show followed the themes of Classic: Tradition in the Future, Design and xLux, along with the International Bathroom Exhibition. 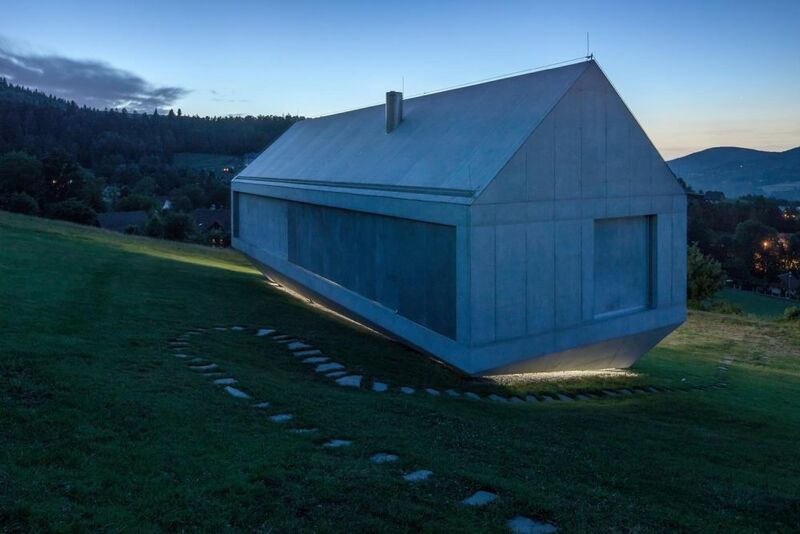 Homedit’s Stefan Gheorghe scoured the acres of designs to bring the newest and most interesting designs to readers. Contemporary and modern designs like this by Anna Gratia are the focus of ICFF. 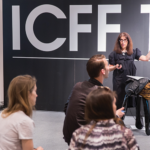 New York City’s design month includes a major design event for fans of contemporary design: ICFF is a must see that includes international brands big and small in furniture, lighting and decor, as well as a section devoted to works by student designers. This is indeed one of the most exciting design events of the year and a perennial favorite for finding exciting new pieces. 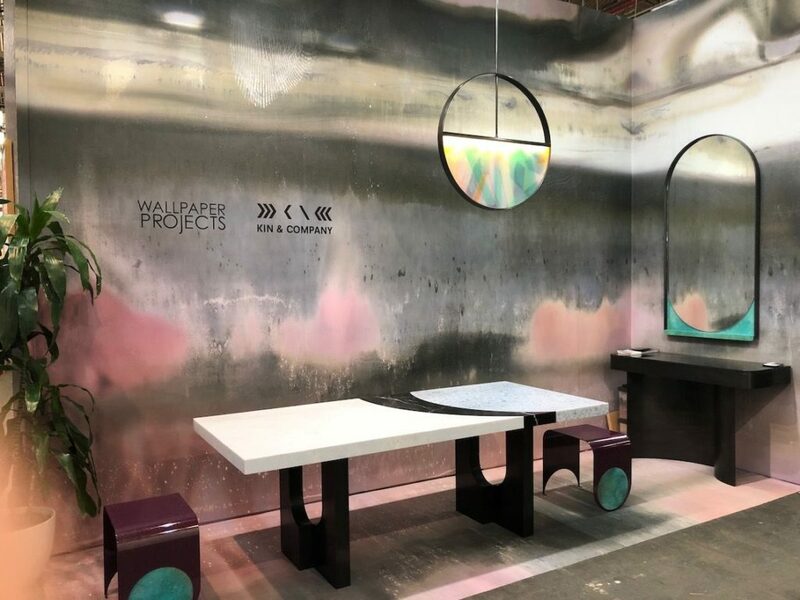 From sleek and serious to colorful and whimsical, ICFF always has a range of items that inspire new ideas for your own home’s decor, and we were again pleased to bring you all the latest. Tile innovations can be used to create spectacular bathroom designs. 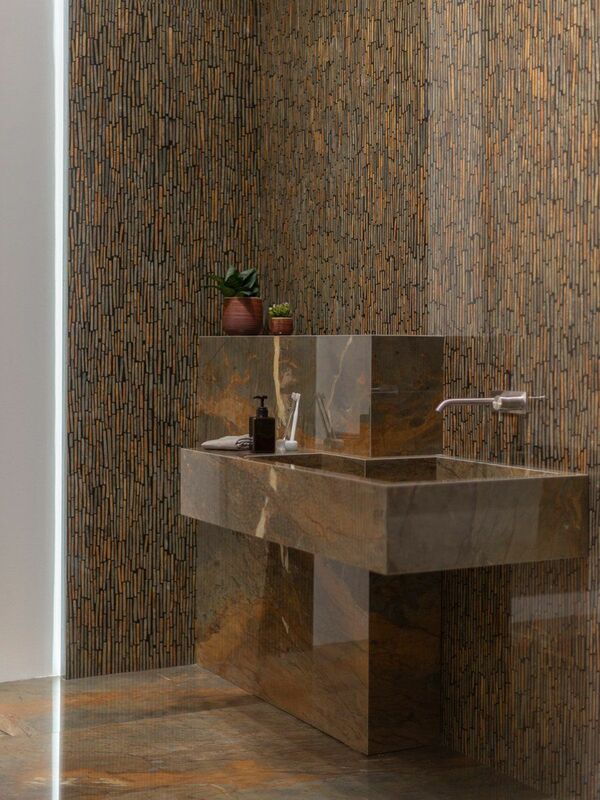 If looking for bathroom tile inspiration, the search has to include Cersaie. 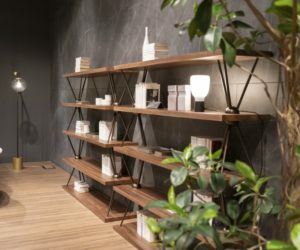 More than 800 tile and bathroom furnishing companies converge on Bologna, Italy to present their latest wares every September and what they bring is always new and exciting. 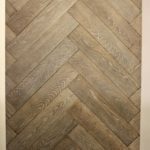 The latest innovations in ceramic tiles, bathroom fixtures, wall coverings and more were presented and reflected a wide range of colors and styles, from unglazed and rustic to glossy modern mosaics and everything in between. Whether you’re renovating or planning a dream bathroom, we were sure we found ideas for you at Cersaie. Two Tree Studio’s cabinet is an example of items that will become heirlooms. 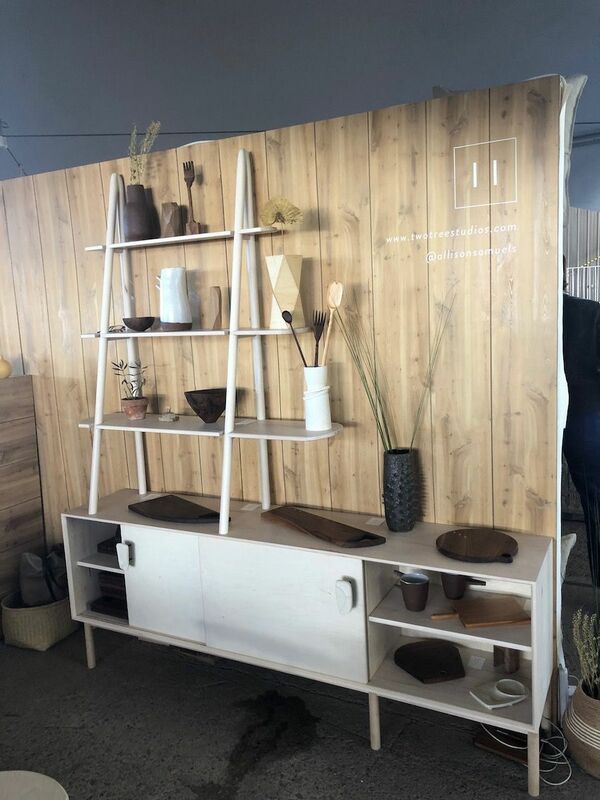 Smaller design fairs can have a wealth of ideas for all parts of your home, and one that definitely fits the bill is Field and Supply. The design fair is billed as a one of “modern makers” and indeed they all are. From limited edition, hand-crafted wares to small batch production of items, it presents a range of charming pieces that are design forward, sustainable and very special. The inspiration the rustic show provides sparks a movement toward an appreciation of quality and hand-hewn design that is not found among large-scale mass-produced furniture and accessories. 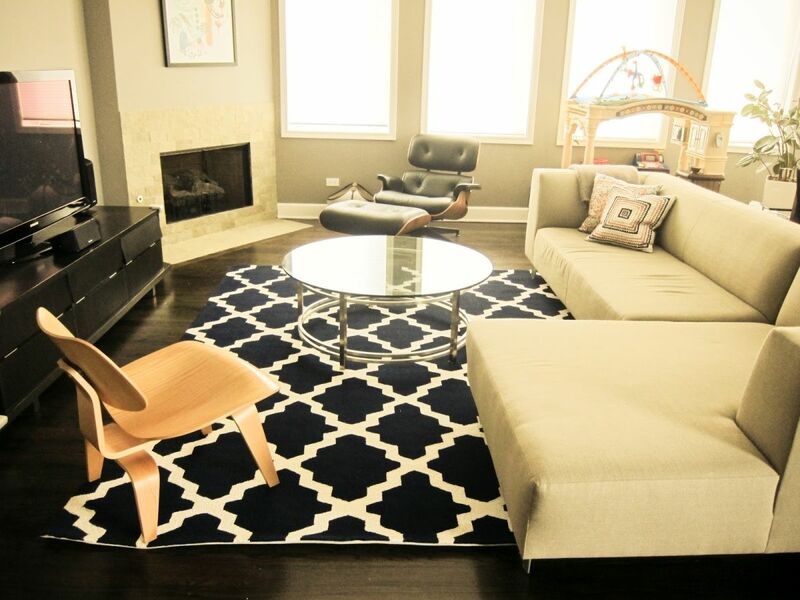 High-end designer creations offer inspiration for your own home. Founded in 2008 by interior designer and breast cancer survivor Iris Danker, New York City’s Holiday House is a designer showhouse with a purpose: It raises funds for the Breast Cancer Research Foundation® (BCRF) while showing off the amazing tales of nearly two-dozen of the region’s interior designers. Led by a celebrity-studded advisory board, this year’s house was a 6-story Upper East Side marvel that featured a top-to-bottom spiral staircase and a host of rooms anyone would love to live in. 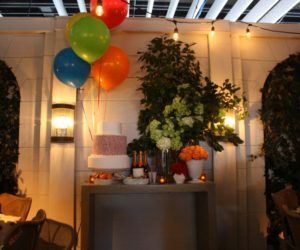 Designers created each room from personal inspiration about a moment in life, holiday-themed or not. 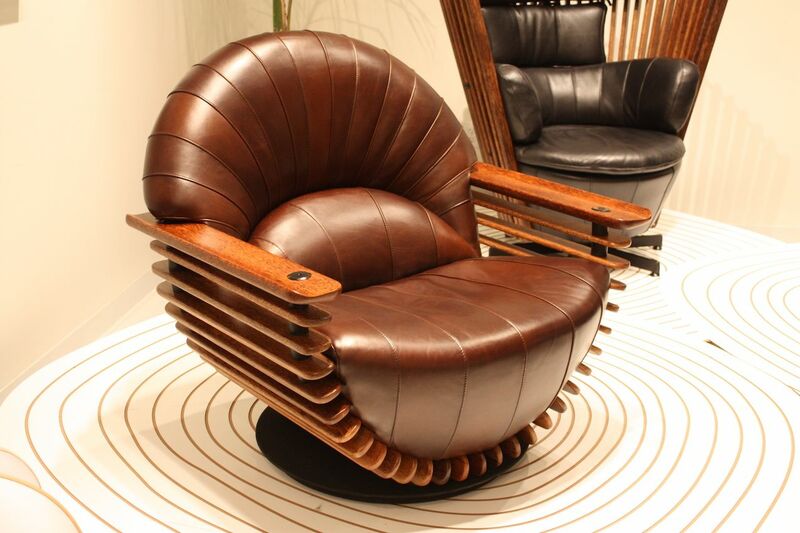 The Galerie BSL exhibit at The Salon Art+Design is a stunning design example. 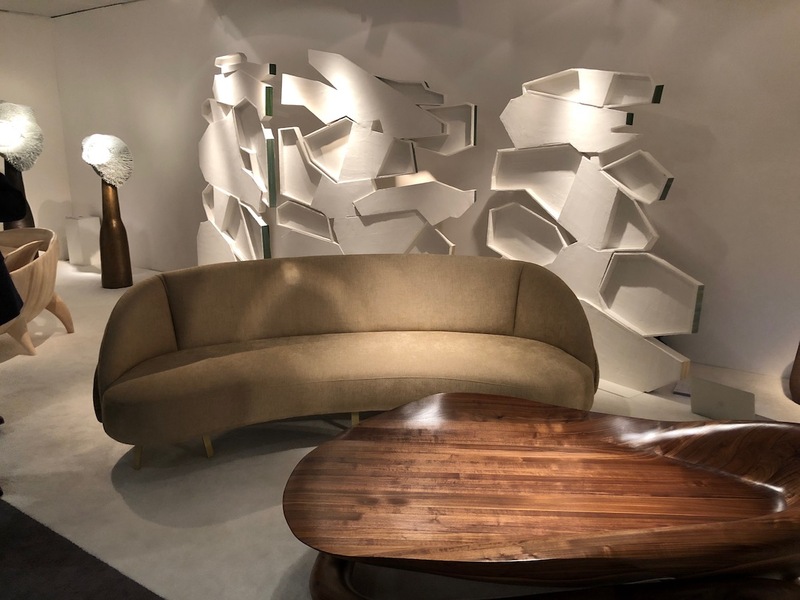 New York’s “fanciest” design show, The Salon Art + Design is just that: An event that blends the highest end art and design under one roof: It’s a show that never fails to wow and while the prices are beyond the reach of many, it is a delight as inspiration and a chance to dream. Spectacular pieces, both vintage and new, are displayed in spectacular fashion. We were excited to bring you the highlights from this show again because the art and furniture are just amazing. 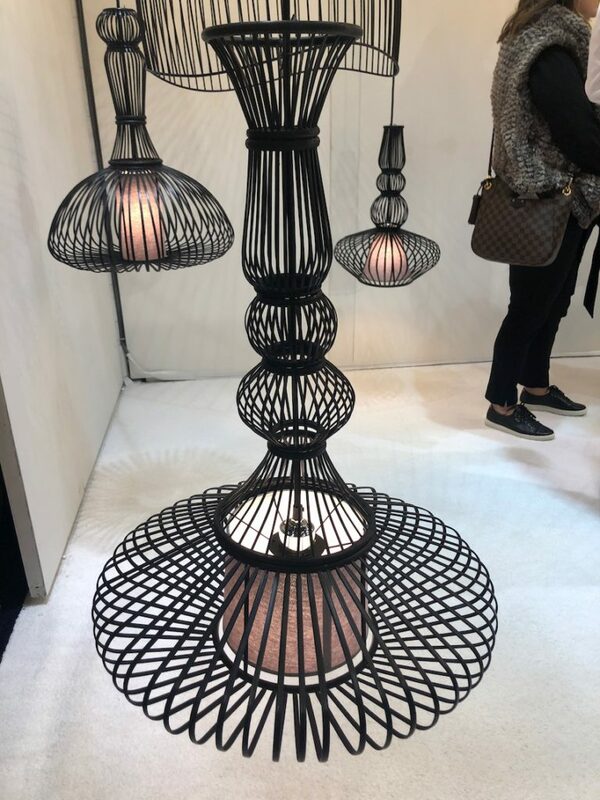 Global Lighting’s pendant is a sample of the cool designs to be found at BDNY. 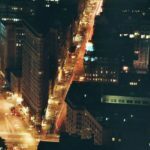 Often a person’s first exposure to a new design or concept might happen in a commercial space, so Homedit never wants to miss Boutique Design New York. 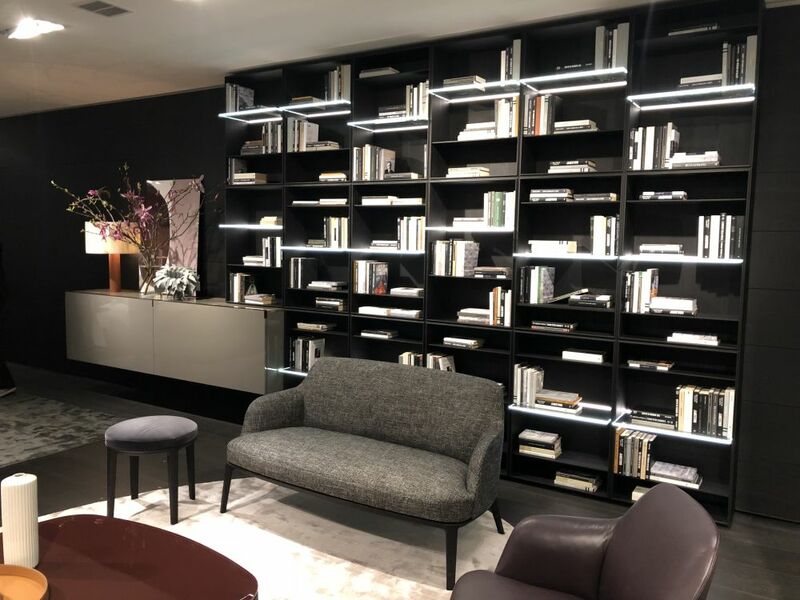 Focusing on the hospitality sector as well as high-end residential design, BDNY always has a wealth of ideas that can be adapted to make your home more comfortable and stylish. 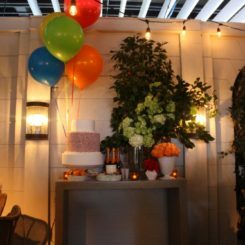 This year was no exception and we glimpsed new ideas for everything from your deck to your kitchen and living room. Innovative products range from all sorts lamps and pieces that can recharge your electronics to new materials and designs for flooring. Accessories to jazz up any room of your home can be found there as well, and we brought you our favorites again this year. It’s a lot of fun to look at high-end pieces and designs for inspiration, but when it comes down to it, lots of our readers like to get their hands dirty. Whether it’s for reasons of budget or enjoyment, DIY is wildly popular. Projects for organization, renovation, decor and gifts help our readers create new things. 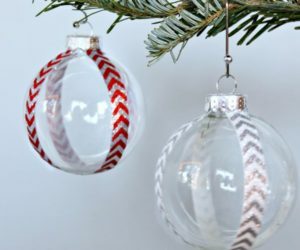 Throughout 2018, we shared projects ranging from small decor pieces you can complete in an evening to larger DIYs that take a weekend or more to tackle. 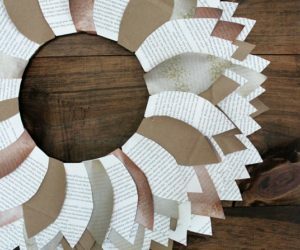 Either way, we have always strived to include interesting projects for experienced crafters to those who have yet to wield a glue gun — there’s something for everyone! DIY tutorials can help you build larger projects. No matter what size your home, a gorgeous pergola can enhance the exterior and add value – as well as enjoyment. This is a larger-scale DIY project but our tutorial addresses all the tips and tricks to make your construction process go smoothly, no matter whether you are using a kit or following a plan. The step-by-step instructions include some options and plenty of helpful advice. 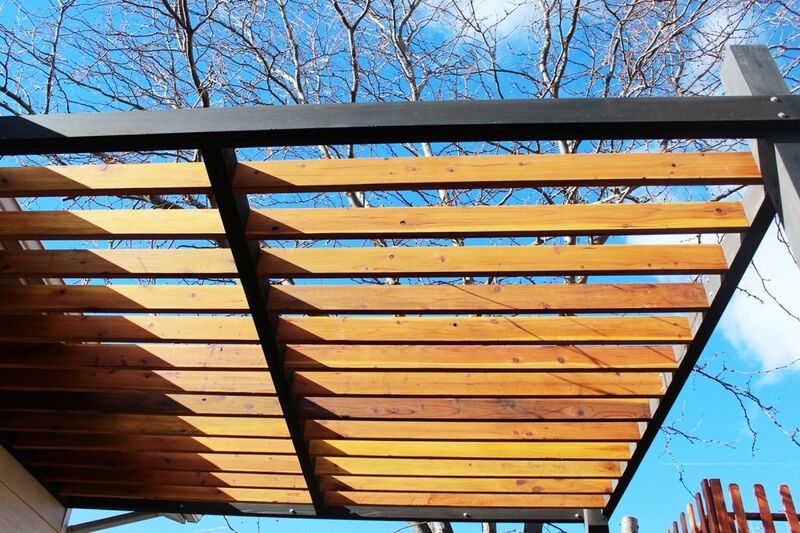 While the tutorial is for a modern pergola, the skills and procedures will be similar no matter what style of construction you are working on. Step-by-step instructions also offer tips and advice for weekend builders. One of the most common home modifications is adding a deck, so it makes sense that a really popular DIY project is how to build a deck. 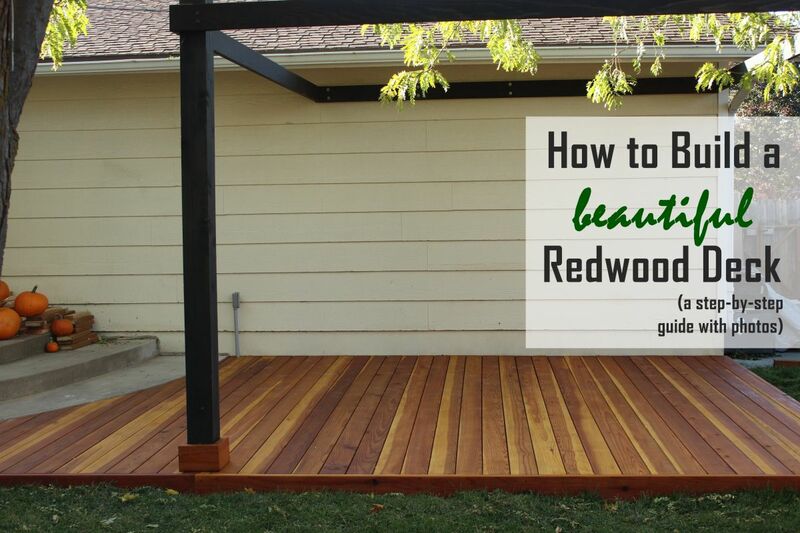 Our tutorial uses redwood, but the instructions will work for pressure treated lumber as well. For weekend DIY warriors who like to take on a bigger project, this is a natural. Again, all the major steps are covered and we include tips and advice along the way. The best thing about these tutorials is that the information is useful even if your particular project is a little bit different. Also, our deck project can be combined with the previous pergola construction to make a really great outdoor feature for relaxing with family and friends. Organizational projects can be quick and easy. Organization is key for a tidy and smoothly running household. 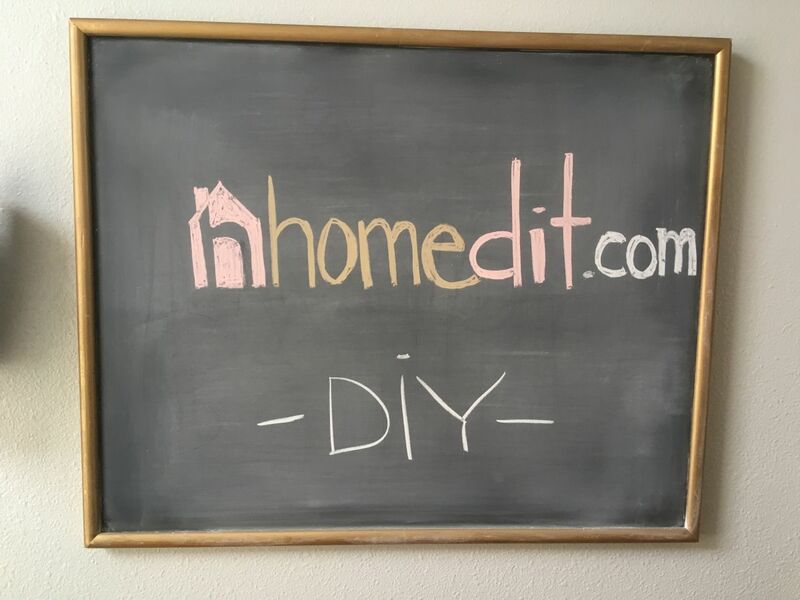 It’s also an area where you can spend a lot of money buying organizational tools, so naturally, Homedit has plenty of DIY tutorials to help you tame the chaos. Many of these projects are easy to do, don’t require any special tools and often use upcycled materials. 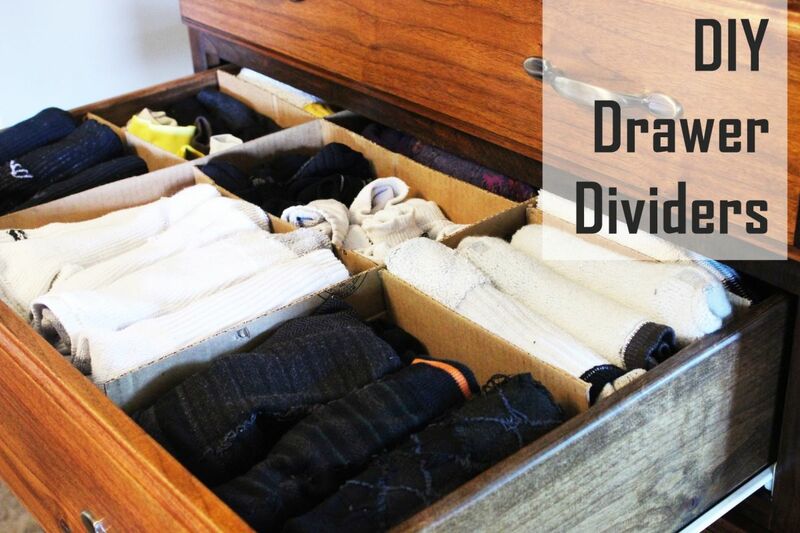 For example, our DIY drawer dividers transform plain cardboard into handy, customizable dividers that keep socks, underwear or any other household items organized and under control. 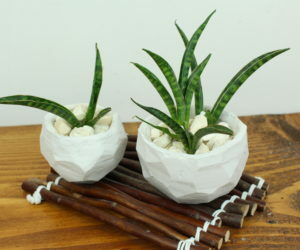 Stylish and useful projects in the DIY section are handy for the home. For decor or for organization, chalkboards have been trending for some time. 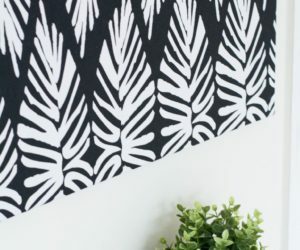 There are lots of ways to DIY a chalkboard, and we’ve brought you one of the easiest. 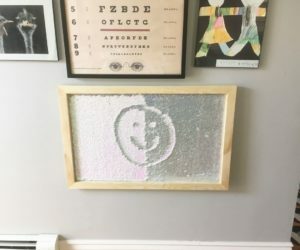 Other than the chalkboard spray paint, you don’t need to buy anything special to transform an old frame with glass into a chalkboard. We show you how to do it so that you’ll have a decorative and functional chalkboard that you can display anywhere in your home. 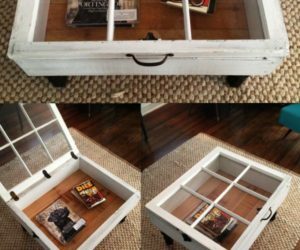 Many of Homedit’s projects give new life to upcycled materials. Of course, not everything has to be about organization and function. Sometimes you just want a new piece of pretty decor, so we showed you plenty of those projects too. 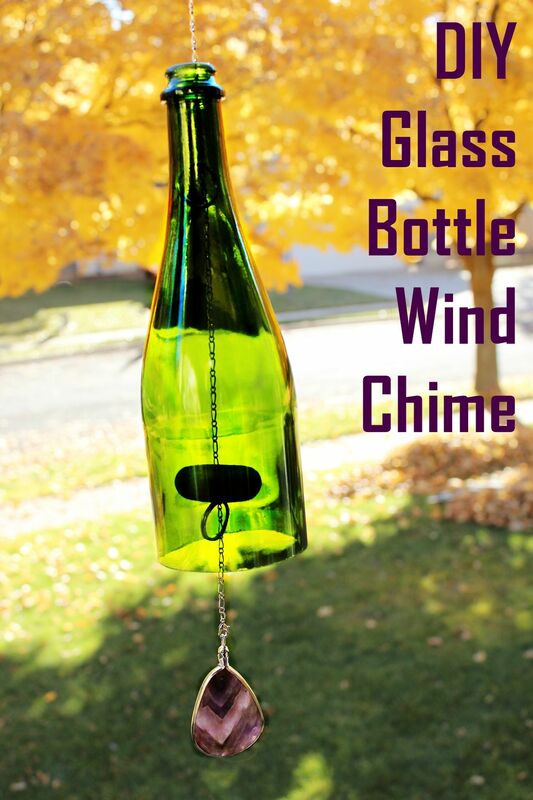 This DIY Glass Bottle Wind Chime is fast, easy and uses an old wine bottle for the base. 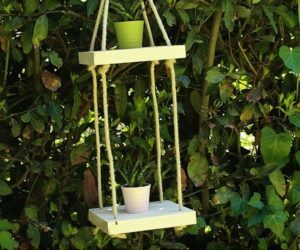 Besides being a lovely addition to your outdoor space, this wind chime project has a skill that you can use for other projects — how to cut a glass bottle. Every space has some challenges when it comes to storage, flow or size in general. We love to dig up ways that people have solved challenges in their homes, along with products that are designed to make the most of a space, whether it is large or small. 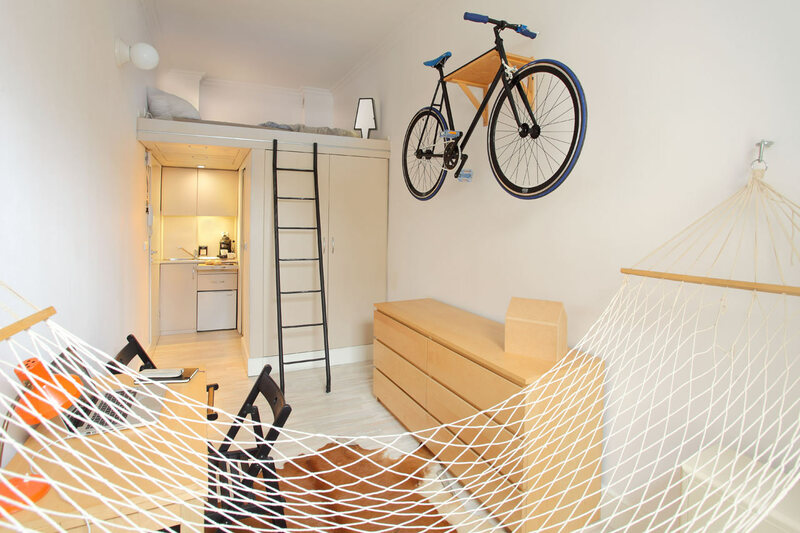 Some of the coolest solutions to home challenges come from people who live in small spaces, so we have lots of stories that show different methods for getting the most function out of any room. 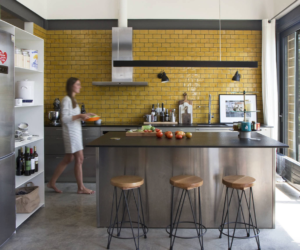 Small spaces need careful planning to be highly functional. Special furnishings go a long way toward making tight spaces comfortable. Creative homeowners and architects have also devised ways to turn the typical eyesore garage into a design feature that adds to a home’s overall look. It may still look like a gaping maw when it’s open, but when these garages are closed, the door and the garage space are an integral element in the pleasing design of the house. Another part of our mission each year is to help to help our readers learn about design and architecture as well as the process of creating new things. In addition to tutorials and instructions for all kinds DIY, we present stories about amazing architectural works around the globe as well as information about where you can learn more about the fields of design and architecture. At Homedit, we believe learning is fun, especially when it has to do with design and architecture! Explanatory articles describe different design styles. You know what kinds of furniture you like, but do you really know what style it is, or what elements are typical of a certain style? Stories that explain different types of chairs, sofas or tables are among the piece we love crafting the most. Not only do they show you different styles of furnishings, but they give you all the information about a certain style, where it comes from and why it’s special. Learn about the top places to study architecture in our round-up of schools. If you’re a design enthusiast you might have considered pursuing a career in architecture. 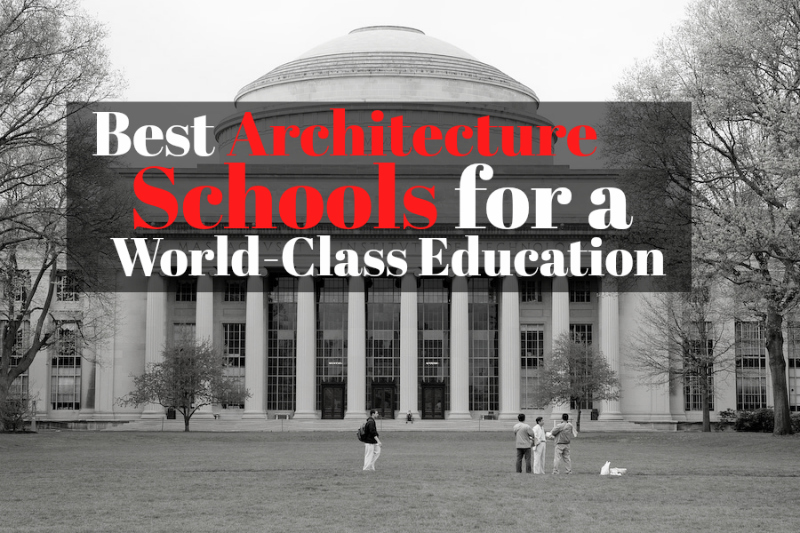 Getting the professional skills and credentials is essential for a successful career so we run down a list of the best architecture schools where you can get a world-class education. After looking at the requirements and opportunities for specializing, you can make a more educated choice of what school might be right for you and your career aspirations. Interior Design professionals have to be licensed in some states. Maybe interiors interest you more and you already do some interior projects for friends on the side. Want to take those decorating skills to the next level and be a real interior designer? 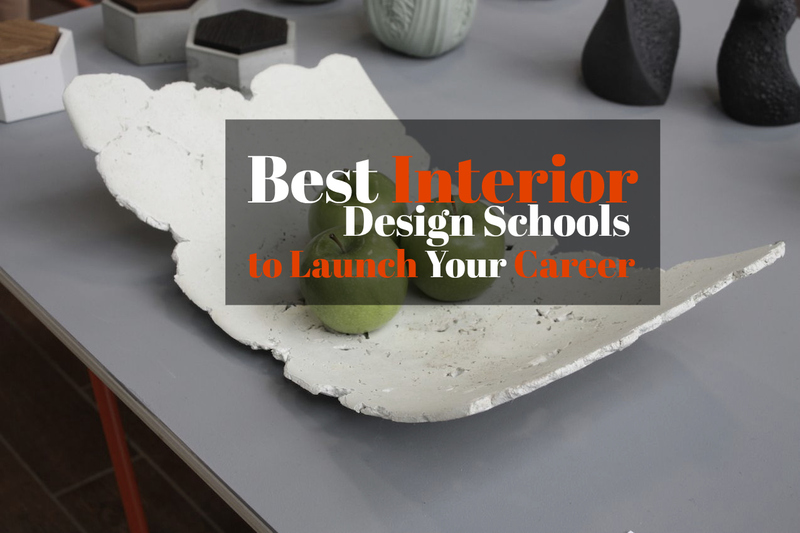 We compiled a list of the best interior design school programs along with the specialty offerings of each school. In addition, we explain what you can and cannot do with this degree and what the other requirements are for practical experience. If you’re starting to search for a program, we’ve pulled together the basics for you. Modular houses look nothing like their early predecessors. The nature of housing is evolving from just basic apartments, houses and condos to encompass many new types of homes. Creative architects are making new styles of homes, from tiny houses to those created from shipping containers. Some are more unusual than others but others are becoming mainstream, like modular homes. With each type, such as the modular style, we research the pros and cons of different types of housing as well as what the costs savings can be from a particular kind of house. Prefab housing is ideal for a more affordable vacation getaway. 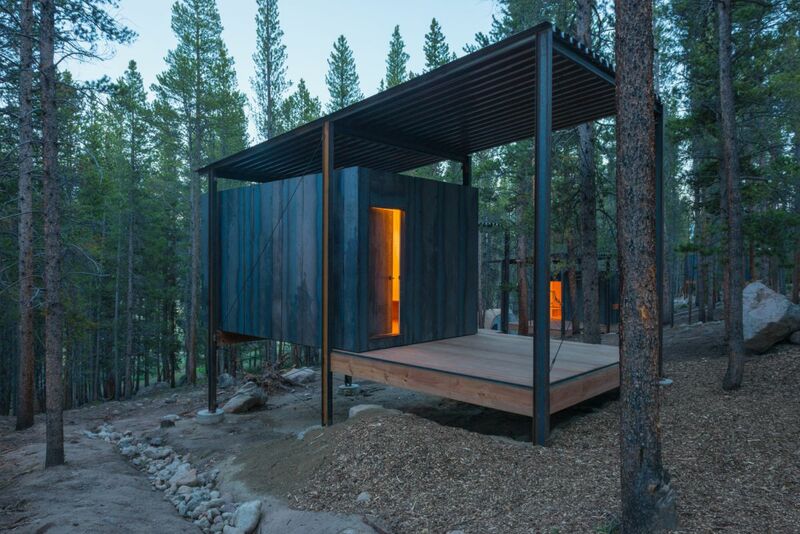 A retreat or personal hide-away is deal for the modular or pre-fab concept and we showed you lots of examples of prefab cabins. These affordable options could make your vacation home dreams come true, especially because there are so many styles available. It used to be that the term “prefab” equaled boxy and ugly but that is definitely no longer the case! Tips and advice for one style of home can apply to many others. Perhaps you want to update and make the most of a family getaway that you already have. We have loads of tips on different types of vacation homes — both stationary and mobile — that you can learn from. 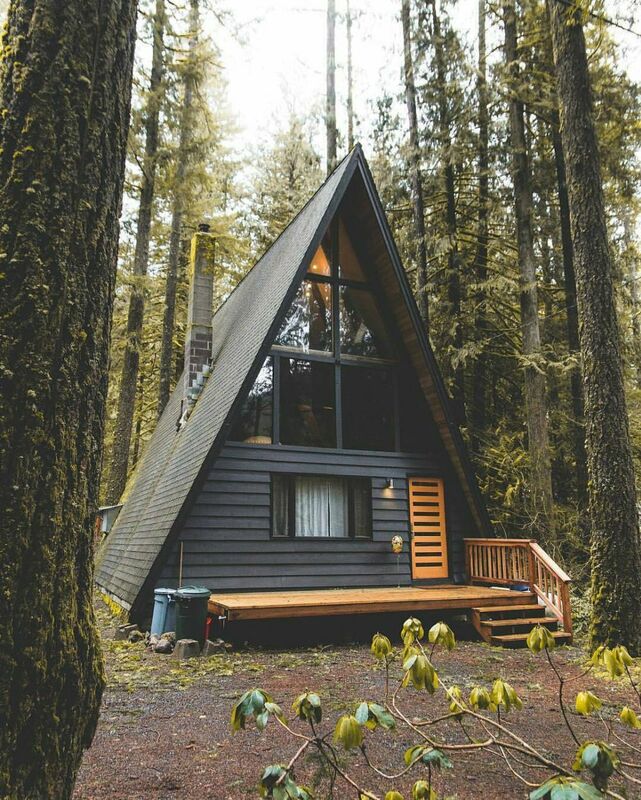 For example, we have 40 tups for turning an A-Frame home into the perfect cabin. Oh, yes, and lots of those tips are useful for homes of all shapes. 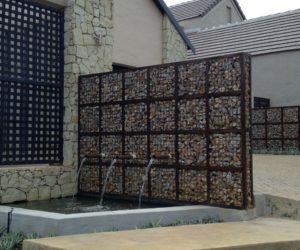 Advances in technology and security can make a home a literal fortress. With all the turmoil in the world, some people want homes that offer extra protection for their families. The options range from simply those with extra security included to literal fortresses that can withstand natural disasters as well as man-made ones. 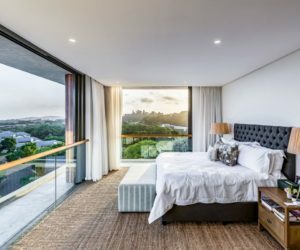 Far more attractive than an underground bunker, these specially designed homes will allow the resident to sit out Armageddon in style and safety. Sometimes the best inspiration for your space comes from what others have done with their homes, so Homedit loves to give you round-ups of ideas for every space in your home. 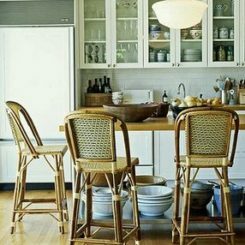 From window treatments to chairs and kitchens, we have stories that show dozens of ideas for decor schemes as well as individual pieces of furniture. These are great for ideas or for your next shopping list! 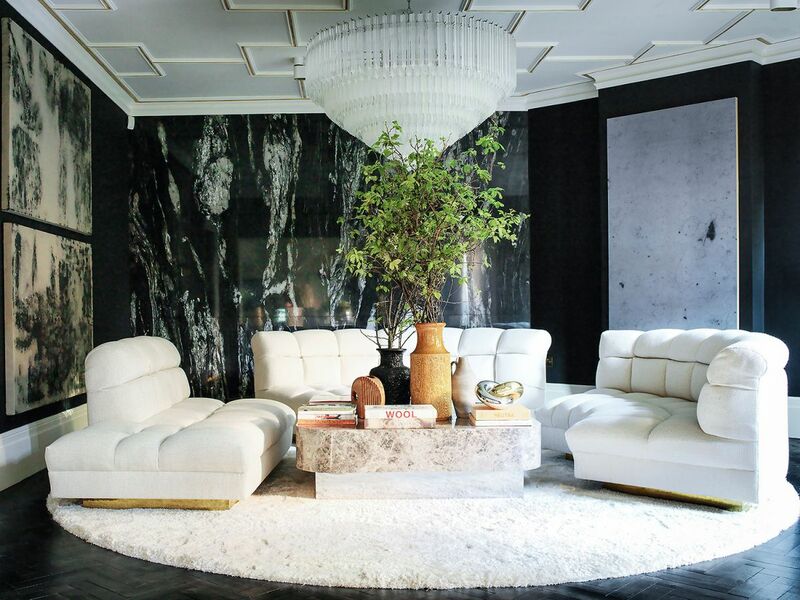 Stylish living rooms across the globe are great inspiration for your own space. Relaxing, serene or dreamy — that’s what we all want from a bedroom so we show you plenty of examples. Different styles and colors of bedroom decor are there to inspire your next bedroom refresh. The same could be said about living rooms, so we brought you 100 examples of beautiful living rooms to give you plenty of ideas for redecoration. Find something you like? Recreate part of a room or just a few of the elements within. 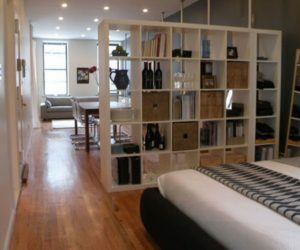 The Homedit website has ideas for every room of the home. Maybe a number of rooms are on the list for redecorating or you just want general ideas – we have plenty of those too. In fact, Homedit has decorating ideas for all the rooms in your home, no matter what interior design style you prefer. 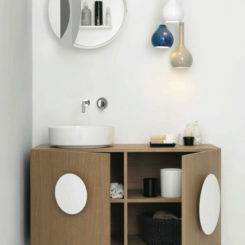 New bathroom designs make it easy to have a spa-like experience at home. 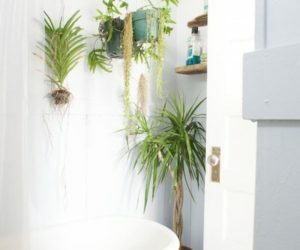 With bathrooms being a very common area for remodeling in a home, our website is chock full of ideas for bathroom furnishings, fixtures and hardware. From new vanities to trends in freestanding bathtubs or the latest in modern shower designs, it’s all there. One stand-out piece can refresh an entire room. 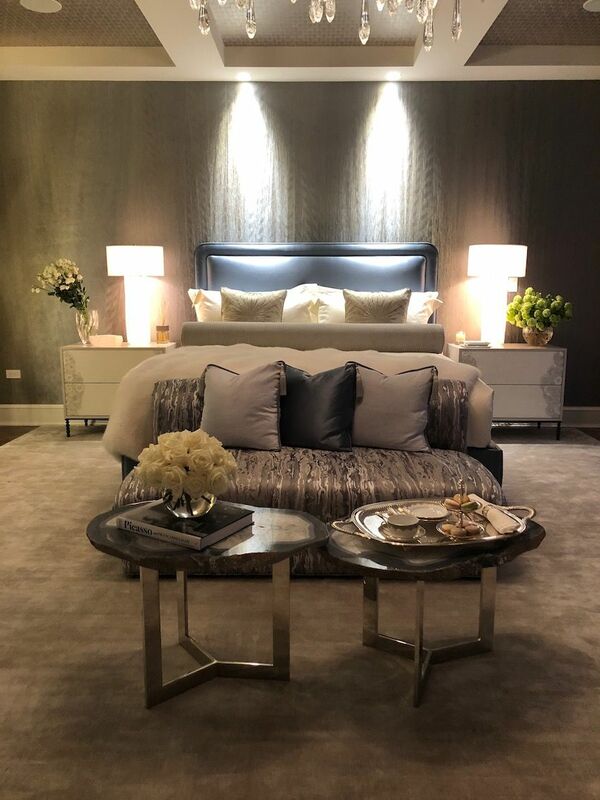 From time to time, everyone wants to spruce up their living space so we work hard to keep up on trends and new pieces of furniture, decor and lighting that can upgrade your rooms and keep them fresh. 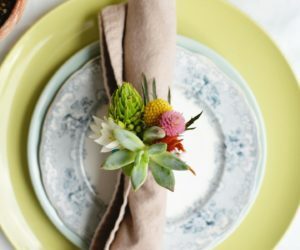 Whether the whole room is being redone or just livened up with a new couch or table, there’s inspiration aplenty in stories like 100 Cool Things To Add to Your Home’s Decor. 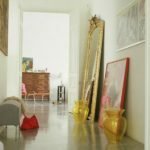 Or, perhaps you want to add a specific item to your space and find things to spark ideas in pieces like 50 Shelving Ideas for Every Space, Decor and Style. The design of something like shelving can turn it from basic to spectacular. As the hub of the house, the kitchen is always a target or inspiration that can make this particular space more functional and comfortable. 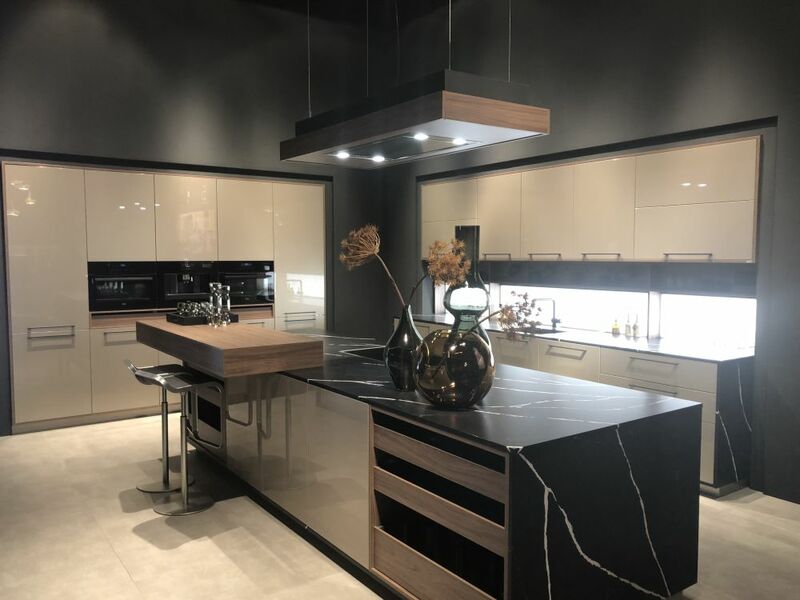 Not only do we bring you the latest designs from the international fairs, but Homedit also presents other ways to improve the kitchen, such as applying feng-shui principles. More than just functional for your family, the kitchen should be stylish for improved resale value when and if that time comes. You can get ideas from stories on trends that serve your family well. 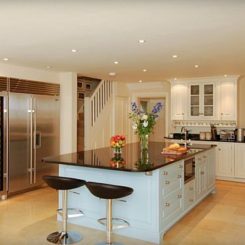 Kitchen layouts are critical and Homedit has loads of examples. Kitchen technology can help make a family friendly kitchen uber stylish. It’s a lot of fun to get a look at what’s inside some of the most spectacular homes across the planet, so whenever we can, we bring you features that offer glimpses of marvelous properties. From stylishly renovated vacation getaways to spectacular city penthouses and oceanside marvels, we have them all. You can gawk all you like as you mentally design the house of your dreams, whether that is a sleek and modern manse or a rustic treehouse secreted away in the woods. 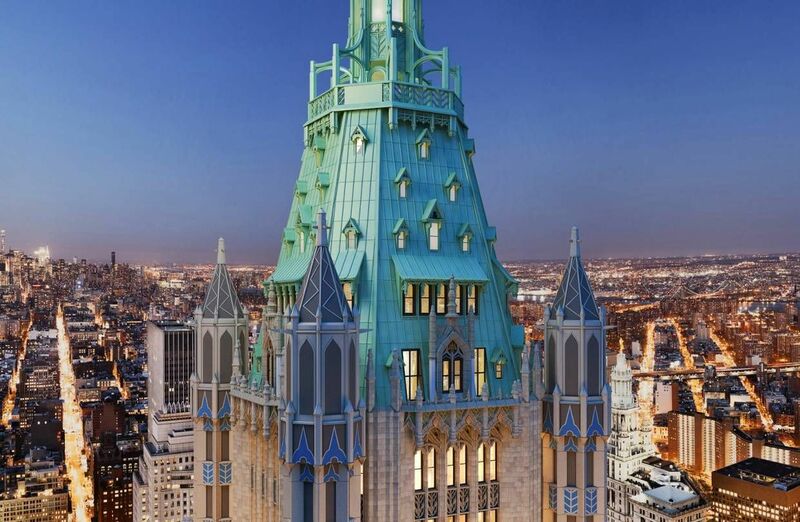 Take a look at the 10 most expensive properties for sale in the United States. 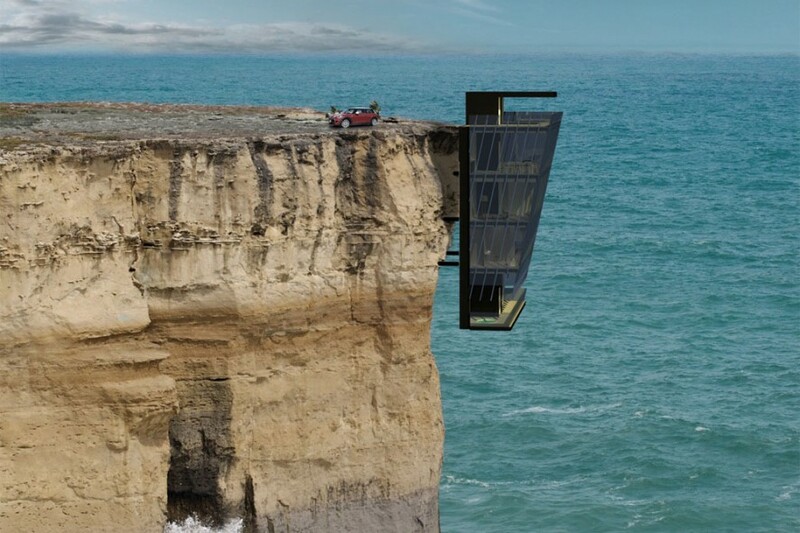 Maybe your dream house one of the most unusual styles. Once again, cheers to you, our readers, for making the past decade great for Homedit. It was full of fantastic design ideas, creative DIY, and tons of inspiration. It’s all for you. We plan to keep bringing you stories that help inspire the creativity to make your home — and your life — stylish and comfortable.